Alliance Manchester Business School part of The University of Manchester is the largest campus-based business and management school in the UK and has provided business management education for 50 years; the school is famed for delivering original thinking and contemporary teaching. Alliance Manchester Business School approached Cuckoo in April 2015 to design their DBA prospectus. 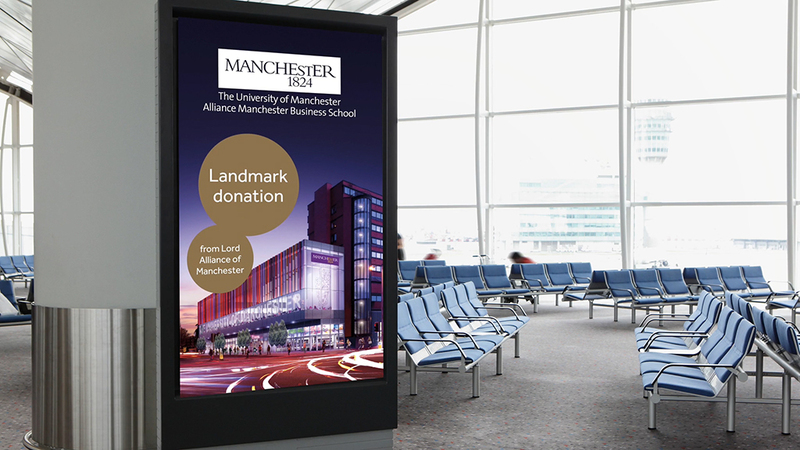 Since then we have been responsible for redesigning their MBA prospectus, designing collateral for events and supporting their name change roll-out through display banners, lightbox adverts, a digital 6–sheet as well as outdoor banners around key locations in Manchester.